It was hard to narrow my favourite Lightroom tools down to just five options! There is so much you can do in Lightroom to improve your photos especially if you shoot in RAW. Sometimes, I’ll look at the photos straight out of the camera and think how terrible they look. As long as you have them in focus, you can make them look 100 times better. I notice sometimes when I’m shooting in natural light, the photos will have a blue cast to them. I know it’s an easy fix in Lightroom so I don’t really worry too much about getting it perfect right out of the camera. Here’s a quick look at my top five favourite Lightroom tools and how I use them in my workflow. 1. 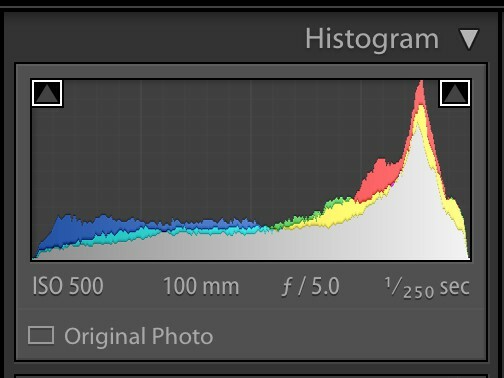 Histogram. The histogram gives you a visual diagram of how the colours are displayed in your photo. You can tell if it’s over and underexposed and if any whites are blown out or blacks are crushed. Toggle the triangles in each of the top corners and you’ll be able to see on your photos if there are any areas missing data. 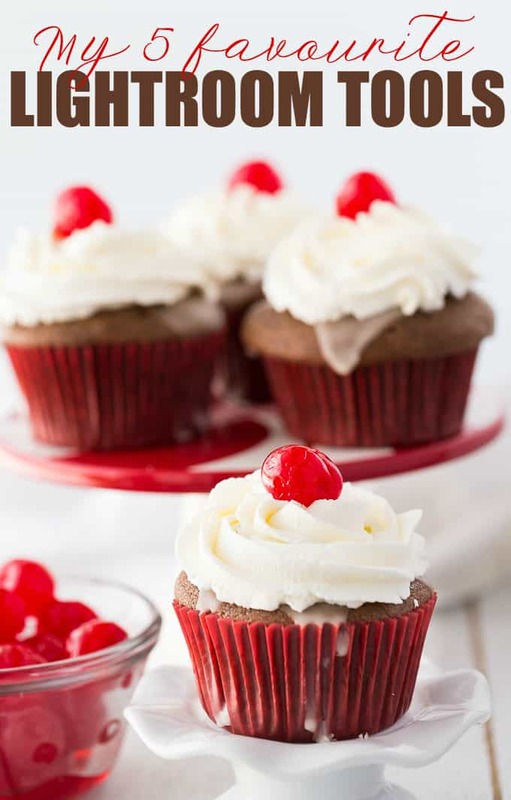 For instance, if you see red on your photo, you’ll know that your whites are blown out in that portion. If you see blue, you’ll know that your blacks are crushed. You’ll be able to focus on fixing or “rescuing” those particular areas and bring back some of the data. It’s also helpful to let you know when you go too far in editing. If you brighten up a photo and you start to see red spots, you know you’ve gone too far. 2. Adjustment brush. If you aren’t using this tool, you need to be! I like it to narrow in and adjust specific parts of my image that need a little editing. If your image is already bright, but you have a dark area, you aren’t going to want to increase the exposure to the whole image. Use the adjustment brush and raise the exposure to that one area. You can also use the adjustment brush to sharpen, add contrast, decrease shadows and lots more. 3. Straighten tool. 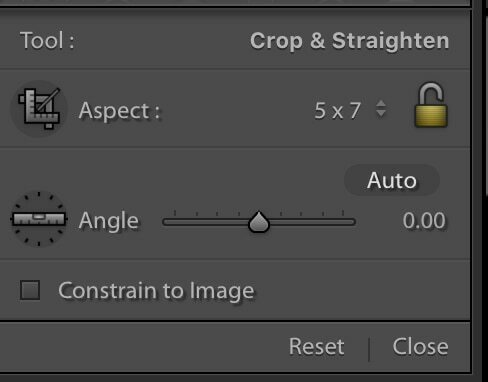 If you look in the cropping panel, you’ll see the little ruler. That’s the straighten tool. You can straighten a lopsided image easily buy applying the ruler to a straight line in the photograph. It will automatically straighten the image. I use it quite a bit especially if I’m shooting handheld straight on. I have issues getting it straight on my own. 4. Sharpening with masking. This one here is a game changer! If you apply masking before you sharpen, you’ll only sharpen the portions of the image that need it. For instance, you probably don’t want your background sharpened and want to leave that softly out of focus. Apply masking first and then when you apply sharpening, it will only sharpen the areas of the photo that need it. 5. Colour panel. You can easily manipulate the colours in your photo including saturation, hue and luminance. I’ll often use it for green to bring out more colour in my garnishes. It helps to really make them pop! These tools are only the tip of the iceberg of what I use in Lightroom. 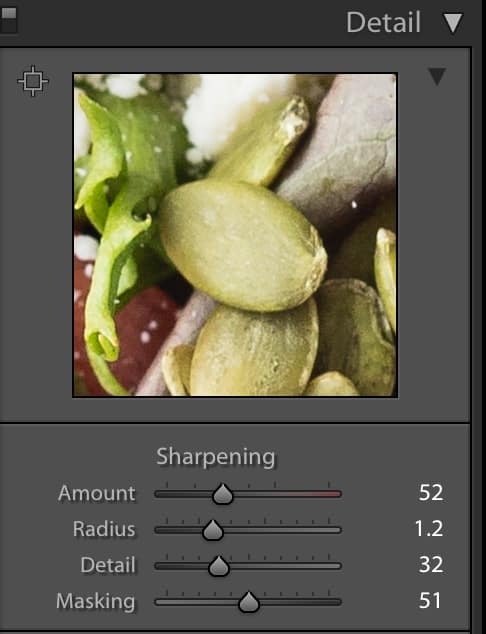 What are your favourite Lightroom tools? Thanks for the post,getting the perfect photo sometimes takes a bit of work and as always you post some fantastic photo’s! This is a great software program. Great way to perfect my photos. Never heard of Lightroom but it does look like a great way to edit your photos, will have to check it out. This is way beyond me. I’m good to hold a camera and click, hope it comes out ok, so take a zillion. No wonder your posts are so pretty!